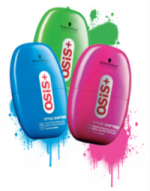 OSIS Style Shifters, the first sprayable texturiser from Schwarzkopf Professional, created to change your style constantly. The Style Shifters spray lets you change the shape of your hair, from slick to tousled, from punky to pretty. You can look cool and confident in the day, wild and rebellious at night. And, thanks to Style Shifters' lightweight formula, your hair will never look overloaded. Hair never feels artificial, just texturised and moulded - natural looking hair. 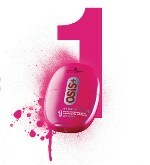 Benefits from using STYLE SHIFTER1: Pink delivers a soft texture, feather-light definition and subtle hold. It gives body and separatin to fine hair and works on any hair type. Benefits from using STYLE SHIFTER2: Green delivers strong texture and definition without leaving the hair feeling weighed down, perfect for creating incredible structure and adding lift at the roots while keeping a natural feel. 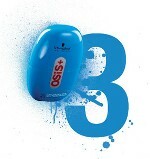 Benefits from using STYLE SHIFTER3: Blue delivers ultra-strong texture and definition without leaving the hair overburdened. 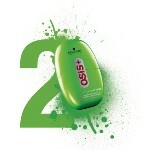 It works perfectly to create wind-tousled, surfer style hair. ESSENSITY is unique in the market; pioneering colour, care & styling products delivering 100% performance, while containing 0% ammonia, artificial fragrance, silicones, paraffin/mineral oils, parabens, formaldehyde derivatives, artificial colourants, and PEG, derivatives. The result: healthy looking hair with natural shine that's velvety and beautiful to touch. The perfect blonde shade can be hard to find and when you do, it�s just like you�ve struck gold. NOW you can enjoy gorgeous golds, incredible creams and flawless sun kissed colour every time with BLONDME from Schwarzkopf Professional. BLONDME offers a sparkling palette of beautiful, reliable shades with intelligent polymers that lock in pigments for longer-lasting luminous colour. These clever colours include Ice, Sand, Steel, Caramel, Strawberry and Lilac which can be mixed and blended by your BLONDME expert to create your perfect signature blonde look. Blonde Brilliance Range for bleached and coloured hair with two shampoo�s in warm and cool shade directions, one enriching conditioner for both colour directions and an intense treatment masque. The rich and intense formulations provide deep, nourishing care without overloading even the most fine blonde hair-types. Illumi Lights Range for highlighted hair with one shampoo, one superlight spray conditioner and one mousse treatment. 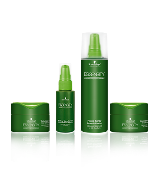 These products have been specifically designed to meet the varying needs and porosity levels found in highlighted and multi-tonal hair. And an All Blondes sumptuous Blonde Refreshing Foam treatment. Shine with Shine Magnifying Spray which delivers iridescent polish to every strand. Volume with Volume Miracle Cream which bigs up roots and lengths for sizeable style. Hold with Glorious Hold Spray for perfect, flexible and natural hold. BLONDME is the only 360� range of colour, care and styling for real blonde solutions that create Supreme Blonde Hair Quality. So just say BLONDME and get a glorious blonde look � ask your colour expert for BLONDME!